How Facebook Features Take Over. Is It Wrong When Product Evolution Is Forced? My friend and colleague Jigar Mehta had this on his Facebook post. And here’s the thing. I tend to agree with him. I fully expect to see a lot of Facebook Live posts. But I wonder WHY am I going to start seeing so many. Is it because users demanded it? Is there HUGE demand of my friends who want to live stream their lunch break to me instead of just posting it as a photo? Or is it because there are other Live streaming apps like Periscope and Twitch and Facebook wants to eat their lunch? Is it because Zuckerbug just thinks it is cool? We don’t know why. And it doesn’t matter — because the reality is: Facebook will make Live ubiquitous. The presence of Live Posts will outstrip the demand and yet … that will create more incentive to do Live posts. 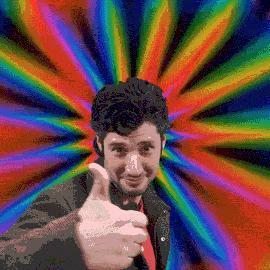 The algorithm will favor Live Posts. And Facebook will give winks, nods andmaybe even money to people who play with Live Posts. So we will see it more in our feeds. That will turn into big numbers for media brands that want to reach larger audiences (again — the algorithms will ensure this). “See, the Live Posts are working” media managers will say to their bosses. This will inspire copy-cat Live Posters. And more Live Posts in our streams. The feature will be muscled in. Facebook needs a new fresh feel to the feed every 18 months. Only a little bit ago it was all about the auto-play video, inspired by Harry Potter no less. And now that auto-play videos dominate. There needs to be a new play. If platforms are going to devour the open web, they have to convince us we are getting lots of flavors. 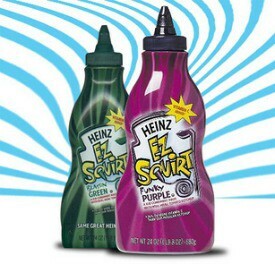 Heinz sold purple ketchup for the same reason. 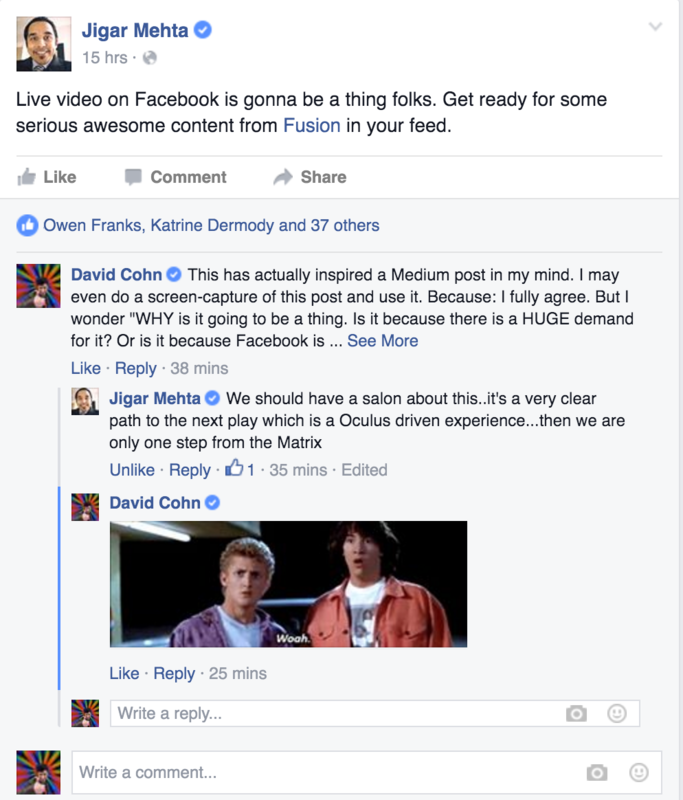 If Facebook is going to eat the open web, it has to re-invent the feel of its feed every few years. And yet there is something somewhat disingenuous about this. A kind of conspicuous media consumption. A feeling of planned obsolescence. Every platform is going to be constantly shifting and pivoting in reaction to each other and an effort to keep things “exciting” for the audience they have. In 100 years people may look back at all this the way we view silly ads from the turn of the century. They are out of touch with reality. They are obviously pandering. Their language is forced.